With our hectic lifestyles now days, most of us don’t have time to run around collecting parts for our appliance repairs on the weekend. Not to worry though, our technicians can help take that added stress off your shoulders and get your appliances back up and running in no time. We can assist with minor repairs, major repairs, ordering replacement parts for you and servicing your appliances to keep them in good working order. Our technicians are certified and experienced to take care of all your appliance repairs quickly and efficiently. 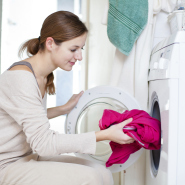 If you keep thinking you’ll get around to fixing your washer, dryer, or other appliances, but time keeps passing, just call us and we’ll be there. For dependability, quality work and honesty, call Timm’s Appliance Repair.